District Elder McWallace Williams, Sr.
District Elder McWallace Williams, Sr. was born in Ashville, AL. He was united in Holy Matrimony to the former Sarah D. Kynerd. They were blessed with five children from this union, three boys and two girls. On February 15, 1955, after hearing the Word of God from Apostle Perry Thomas, he received the gift of the Holy Ghost. Thereafter he dutifully united with the Overcoming Church of Our Lord Jesus Christ under the pastoral leadership of Bishop Sherman Thomas. At the early age of 20 he was called into the ministry and at age 21 he became pastor of Heaven Bound Church of Our Lord Jesus Christ in Brent, AL. Two years later, he began pasturing a second church, Way of the Cross Church of Our Lord Jesus Christ in Selma, AL. He served as pastor of both churches for 21 years. Some years later the Lord told him to continue to go south. After being obedient to the voice of the Lord he and Brother Fred Myles began to go from door to door in Marion, AL witnessing for the Lord. They came to the house of Sister Land and the Lord touch her heart to donate some land for the saints to build a church for the people to come and worship. In 1982, he became pastor of Little Zion Church of Our Lord Jesus Christ (now Zion Temple) and served faithfully until death. He served as District Elder Number One of the Alabama Diocese and also served as the Alabama Diocese State Treasurer. District Elder McWallace Williams, Sr. was an anointed man of God who loved to preach the Gospel of Jesus Christ. He loved the people of God and would give himself without hesitation. He was called home to be with the Lord on July 8, 1990. Elder McWallace Williams, Jr. was born in Birmingham, AL. He was united in Holy Matrimony to the former Karen D. Kennedy. They were blessed with one son from this union. He was filled with the Holy Ghost in 1977 and became a member of Heaven Bound Church of Our Lord Jesus Christ in Brent, AL under the leadership of his great father District Elder McWallace Williams, Sr. He later moved his membership to Little Zion Church of Our Lord Jesus Christ (now Zion Temple) also along with his father. He was called into the ministry in 1987. After the passing of his father in 1990 he was installed pastor of Little Zion Church of Our Lord Jesus Christ. Elder Williams held several positions within the church as, local and state Sunday School Superintendent, head of the Alabama Diocese Music Department, Secretary of the Rosetta Memorial Fund and he also participated on the Alabama Convention Committee. During his pastoralship he pastored a total of three churches. Elder Williams was also an apprentice Funeral Director at Sims Funeral Service. Elder Williams was an anointed man of God who loved to preach the Gospel of Jesus Christ. He loved the people of God and would give himself without hesitation just like his father. He was called home to be with the Lord on July 12, 2001. Mother Sarah Williams was born in Marion, Alabama. She was united in holy Matrimony to the late District Elder McWallace Williams, Sr. on December 25, 1962 and to this union five children were born. 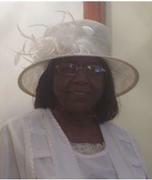 Mother Williams received the precious gift of the Holy Ghost in 1962 and became a member of Heaven Bound Church of Our Lord Jesus Christ and later Mother of Zion Temple Church (formerly Little Zion). Mother Williams supported her husband, son and son-in-law with their ministries. She served the Lord faithfully until her death, in many capacities: First Lady of Heaven Bound, Brent, AL; Way of the Cross, Selma, AL and Little Zion, Birmingham, AL; Local & State Sunday School Teacher; Local Missionary President; Alabama Diocese Missionary Choir and Mass Choir; Zion Temple Missionary and Church Mother and the Alabama Diocese Women Council President for 21 years. She was an example to all young women and widows. Mother Williams lived a holy and sanctified life before her children, church family, neighbors, and all that came in contact with her. The Lord called Mother Williams home on July 12, 2010.